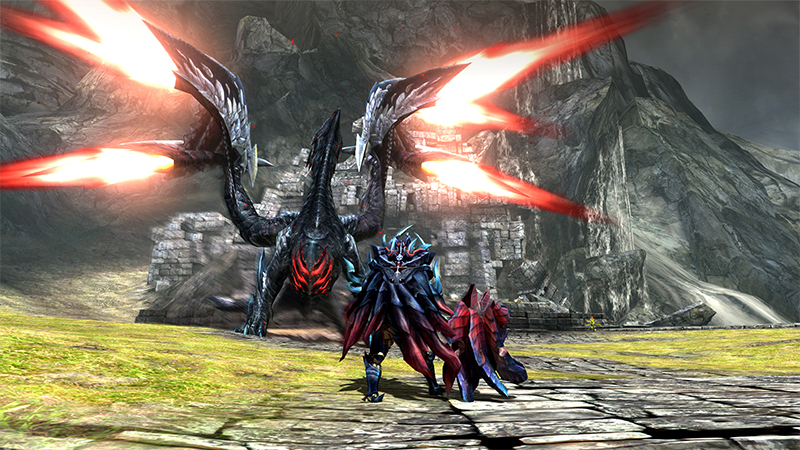 Monster Hunter Generations Ultimate is the follow-up to Monster Hunter Generations, and marks the Monster Hunter series’ debut on Nintendo Switch. 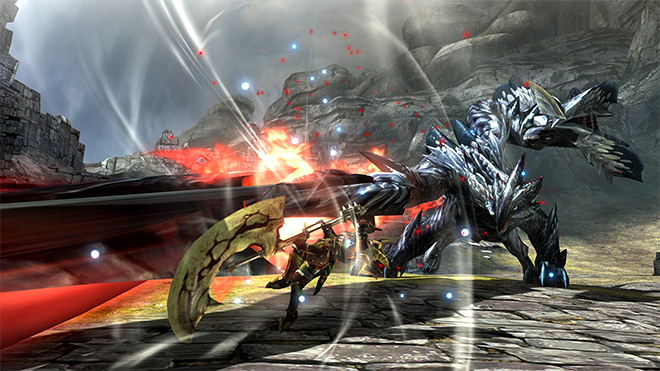 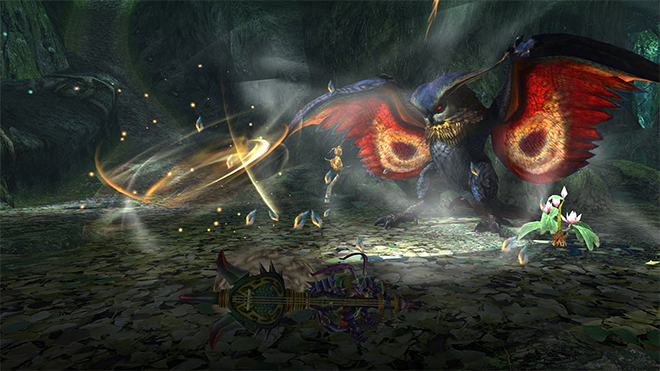 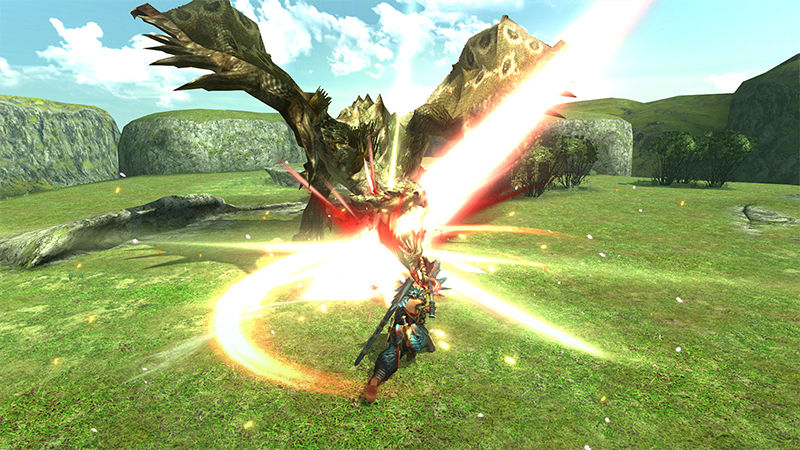 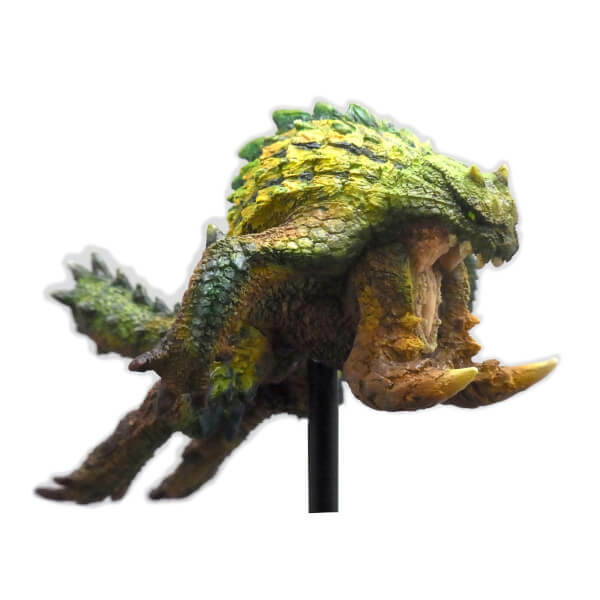 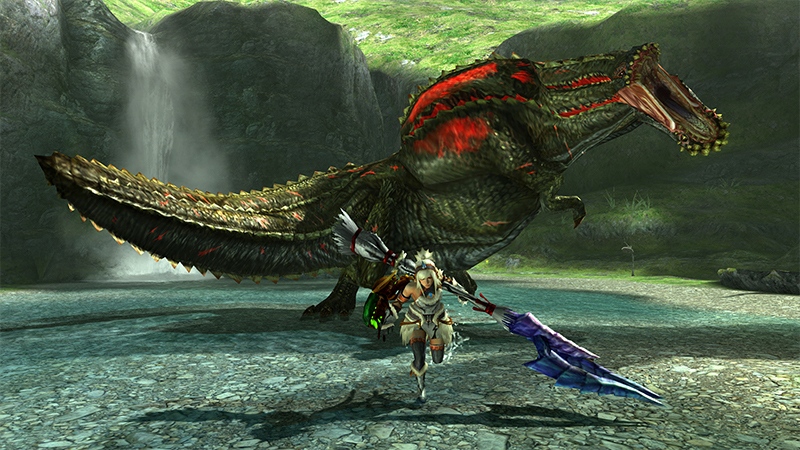 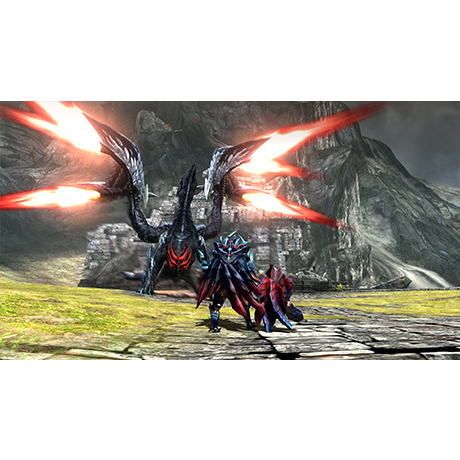 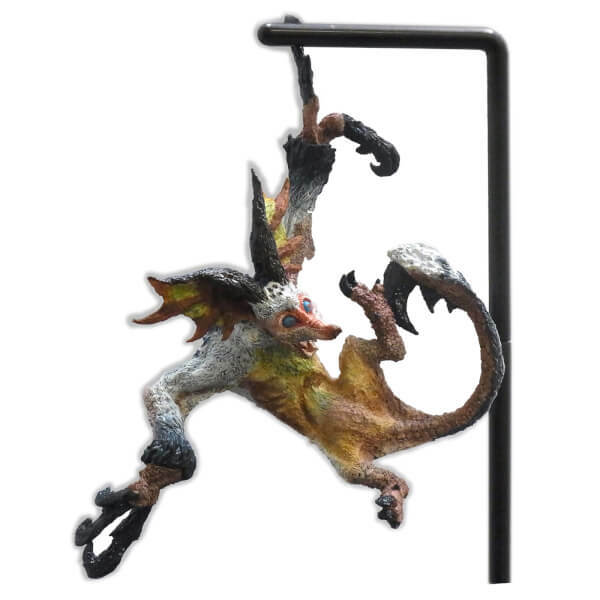 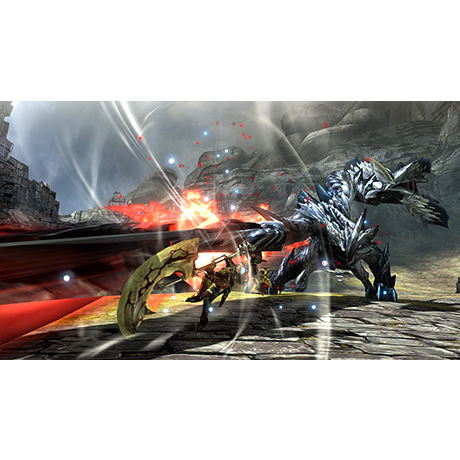 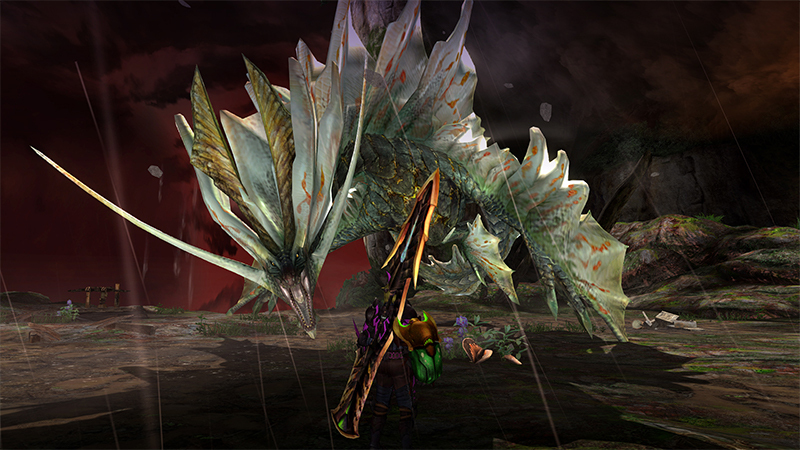 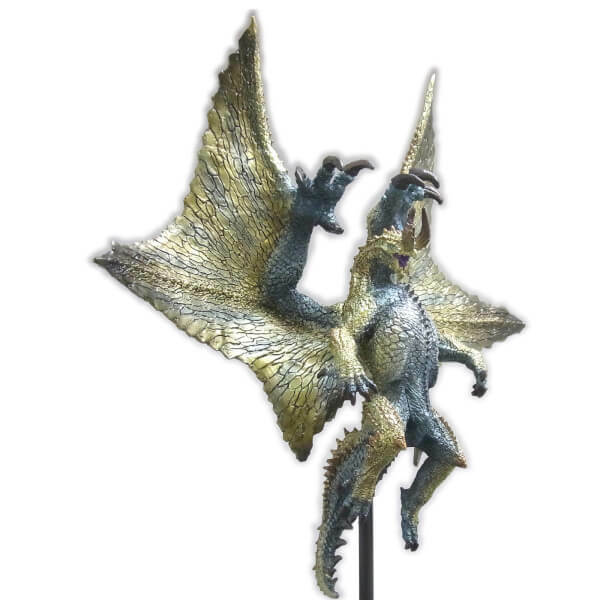 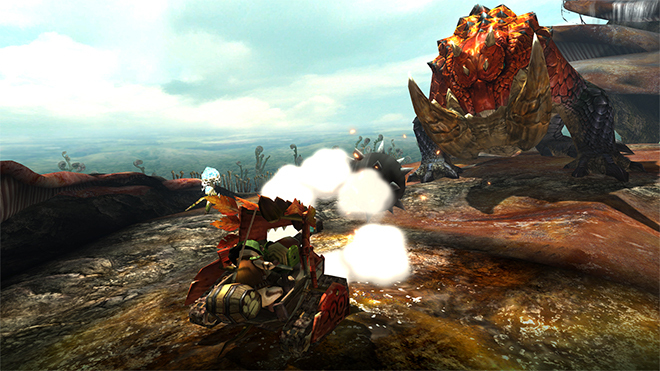 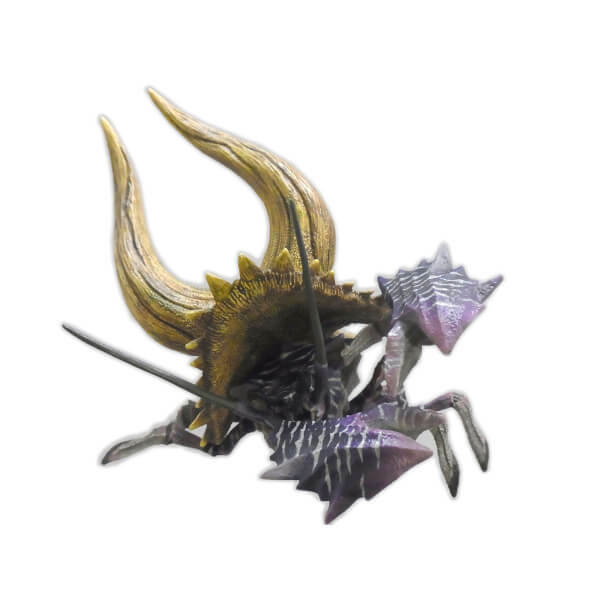 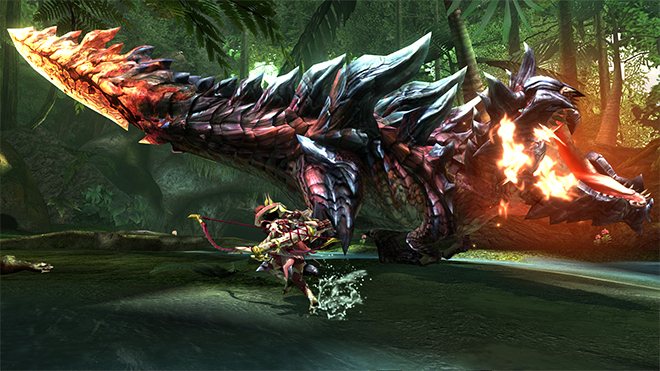 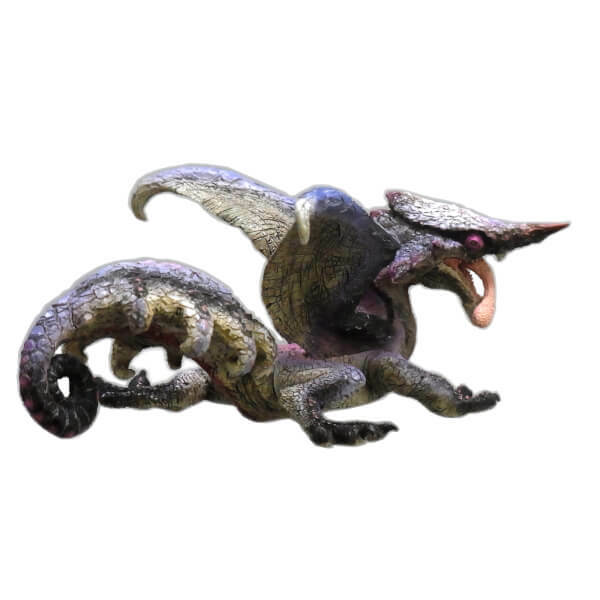 Hunters can face off against the largest roster of unique monsters in any Monster Hunter game to date. 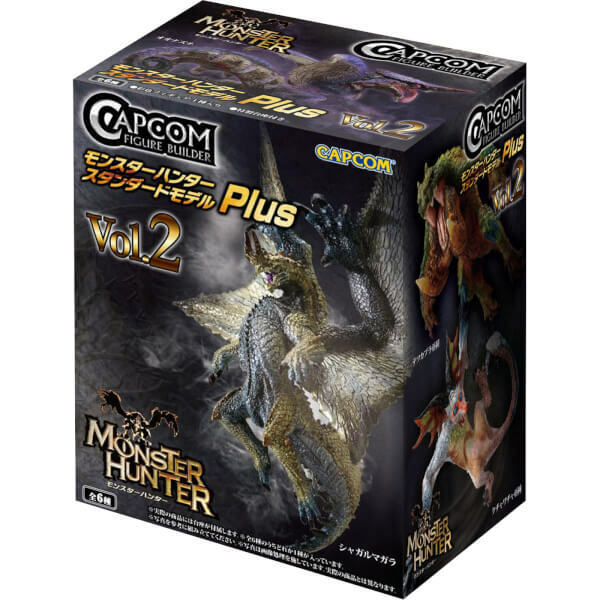 This game bundle includes Monster Hunter Generations and a Monster Hunter Figures Plus Vol.2 - single figure. 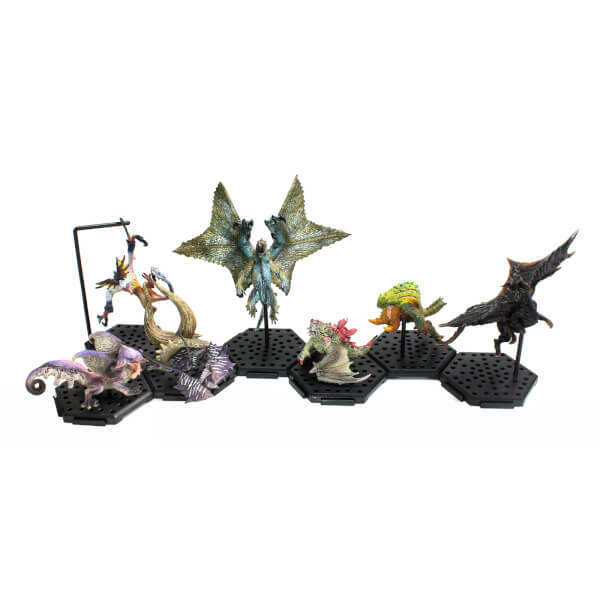 Please note: each box will contain only 1 randomly selected figure from the 6 figures that are available. Colours and styles may vary. 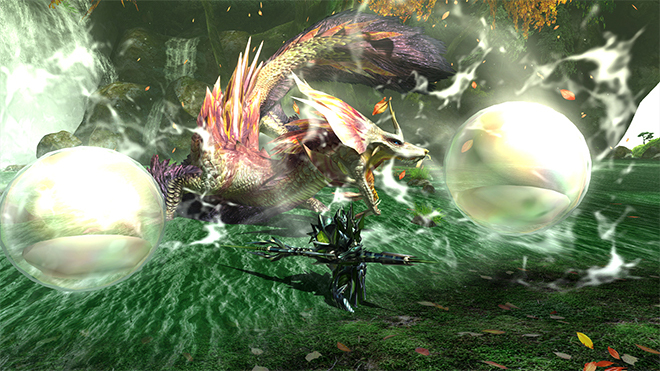 Hunting season is OPEN! 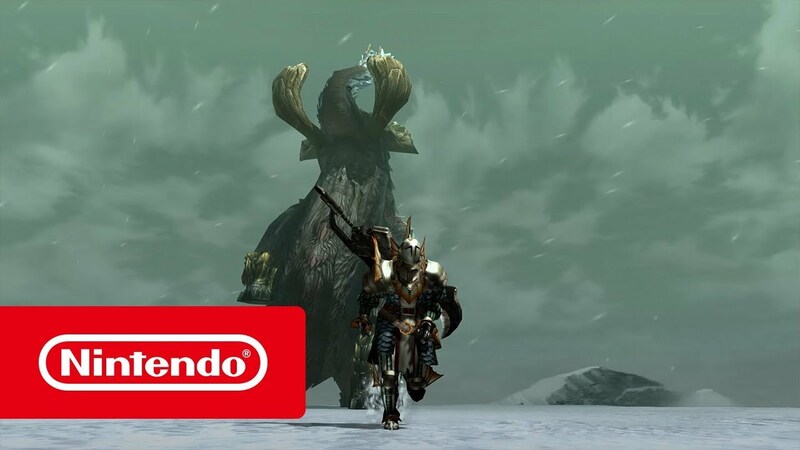 This critically acclaimed action RPG series makes its debut on Nintendo Switch. 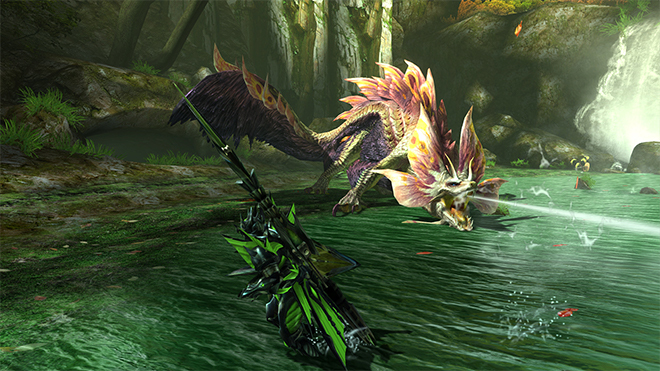 Take on epic hunts on the go or from the comfort of your own home! 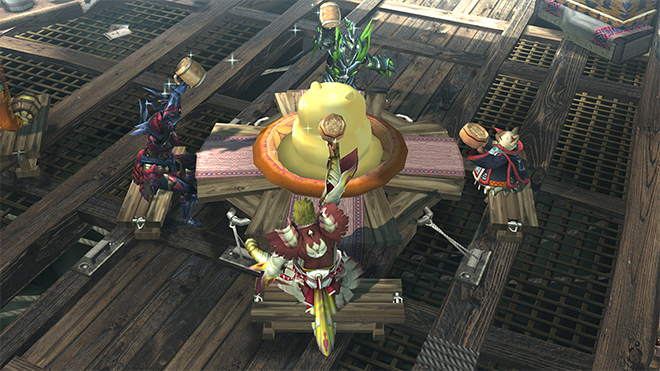 Choose from 14 different weapon types, mix and match them with unique Hunting Styles and Hunter Arts, or even play as an adorable but ferocious Felyne in Prowler Mode! 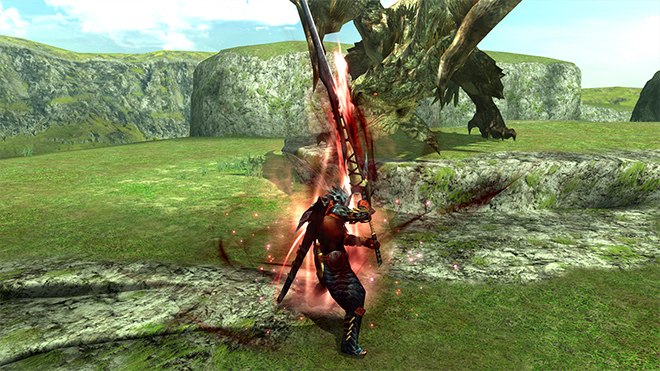 This game features a blend of classic gameplay and unique new twists, brand new explorable areas and monsters. 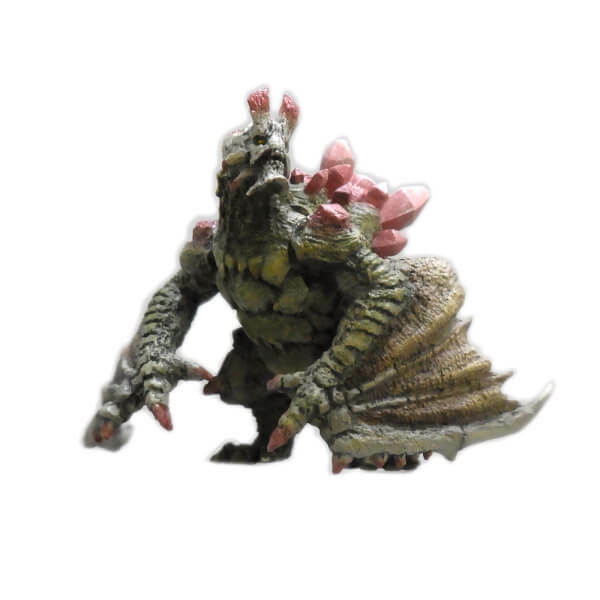 Take on the series' largest roster of monsters to date including all-new monsters and subspecies. 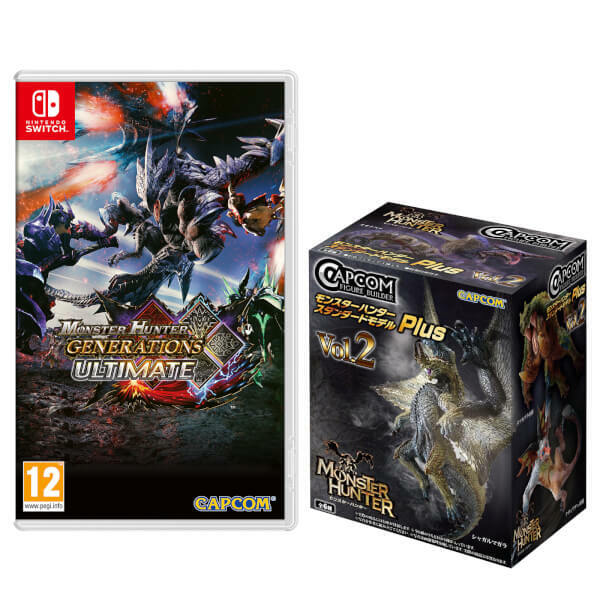 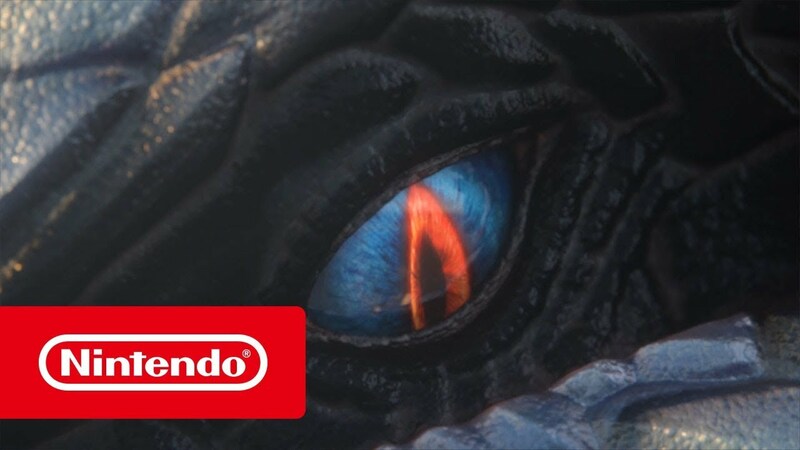 Take on returning fan-favorites like the lightning fast Zinogre and the stealthy long-tailed Nargacuga, or face off against mysterious never-before seen monsters including the new Elder Dragon Valstrax. 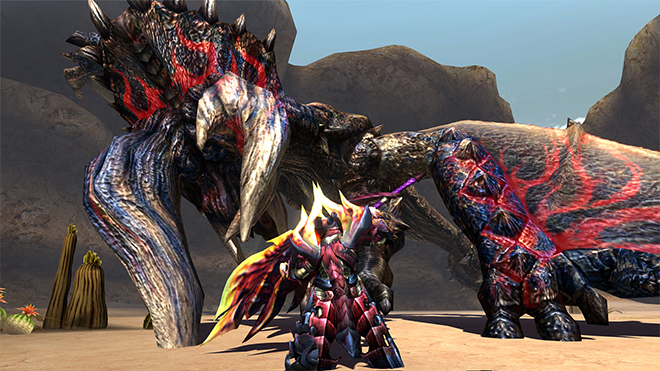 Accept hundreds of quests solo or with friends in this nostalgic look back at the series’ beginnings and evolutions. Along the hunter’s journey, players must defend each of the game’s four villages from major threats known as the Fated Four, plus an even more dangerous new Elder Dragon. 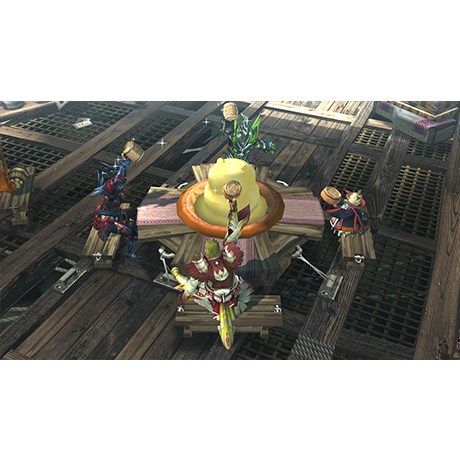 Combat this threat by joining up and hunting online with up to three other hunters, or meet-up and play together via local play. 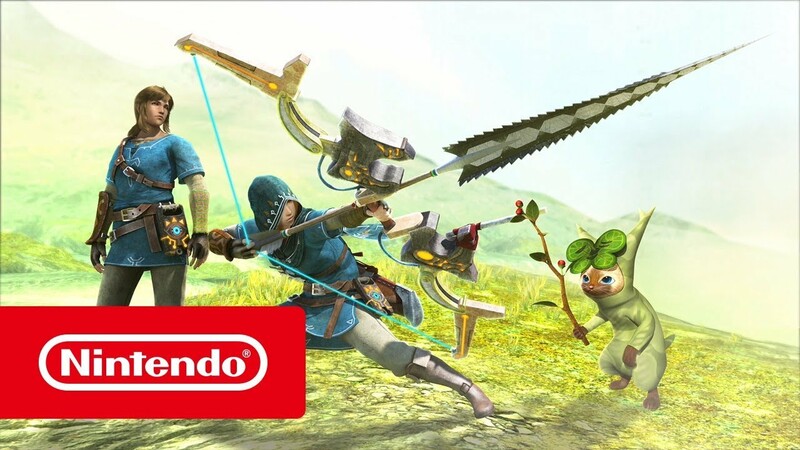 With Nintendo Switch, for the first time gamers have the flexibility to either play online with friends on a TV in tabletop mode or play on-the-go in handheld mode. 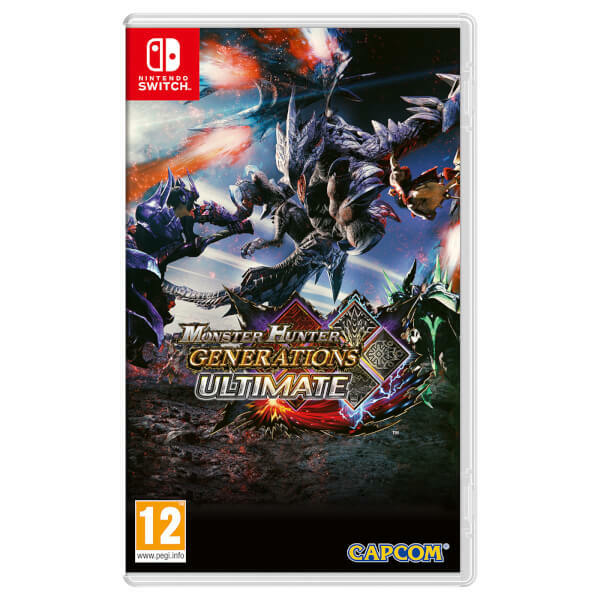 Monster Hunter Generations Ultimate is available now on Nintendo Switch! Get ready to hunt monsters in style with Monster Hunter Generations Ultimate when it arrives on Nintendo Switch on August 28th! 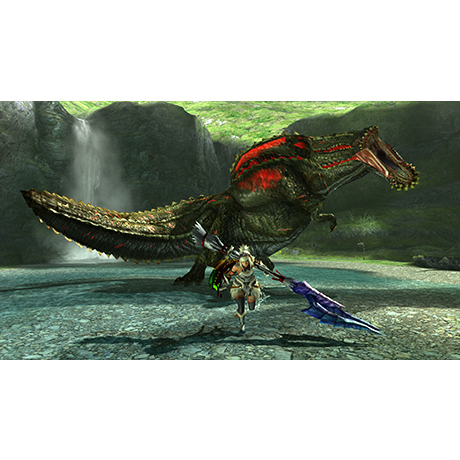 Join the hunt in Monster Hunter Generations Ultimate as Link from The Legend of Zelda: Breath of the Wild!